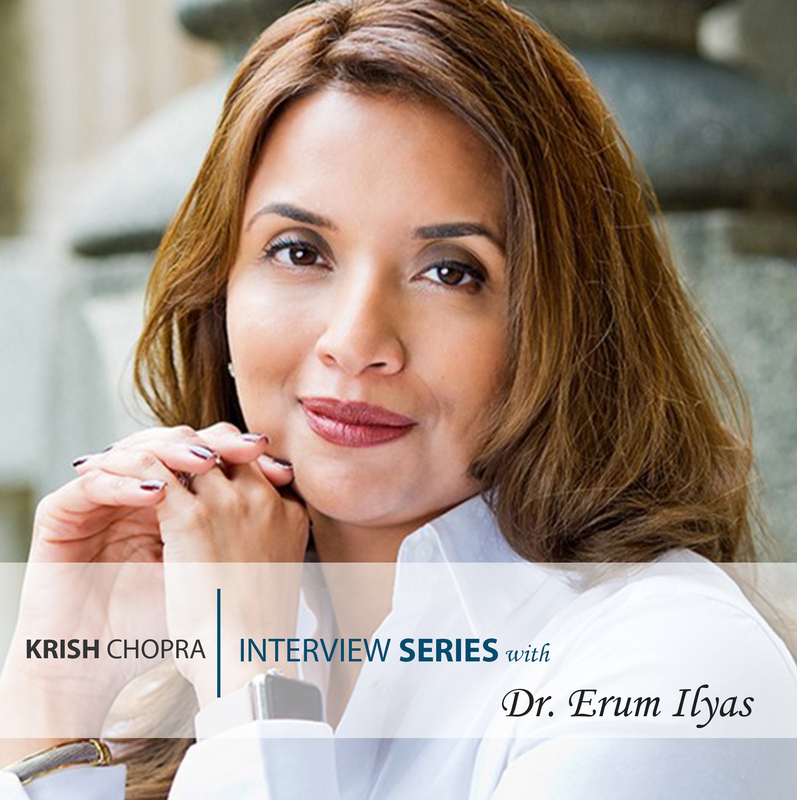 As a part of my interview series with prominent medical professionals about “How To Grow Your Private Practice” I had the pleasure of interviewing Dr. Erum Ilyas. Erum Ilyas is a Board Certified Dermatologist in King of Prussia, Pennsylvania. She has been in practice for almost 15 years and started her practice from scratch almost 10 years ago. She practices medical, cosmetic, surgical, adult and pediatric dermatology in addition to starting a sun protective clothing line called AmberNoon. I am from Baltimore originally and came to Philadelphia for medical school. After training and a brief stint in Boston while my husband, an Orthopaedic surgeon, completed his fellowship, we decided to settle down in the Philadelphia suburbs. After a few years of working at larger Dermatology practices, I decided to start my own about 10 years ago. It grew from 1 patient on the first day to over 30,000 patients as I near the 10 year mark. Along the way I have also completed a Masters in Bioethics from the University of Pennsylvania, started a successful sun protective clothing line called AmberNoon, and raised our 3 children. I find it ironic that most will ask me how I could have started a practice while also juggling my ‘mom’ duties. One of main reasons for venturing out on my own was the very fact that I could control my time and hours far more effectively as the owner of the practice and not as an employee. I, like most families, was constantly re-evaluating child care and determining what worked best. As we all learn quickly, every option has its challenges. When I decided to start on my own it was actually with the determination to address each of these challenges directly. I rented my first office space in a building that had a daycare directly below my office. My thought, if the kids get sick — I’ll just bring them upstairs to my office. It worked. The other reason I wanted to start my own practice was for autonomy. For me the key to professional satisfaction has always been to provide what is best for my patients while addressing outside factors (e.g., insurance challenges, time, costs, etc.) but not permitting these to form a barrier to patient care. When a physician is employed, there are inevitably other stresses on the physician patient relationship. Employer requests for offering specific services, restrictions on time spent with patients, scheduling conflicts, etc. can affect the physician care, stress, mood, and outlook. In having my own practice, I was able to eliminate these concerns to focus exclusively on my patients. Managing my role as a physician and a business owner is indeed exhausting. To manage both roles, the key to success is learning how to delegate. I would also say that the first step before delegating is to thoroughly understand the task yourself first before passing it on. The value in starting my practice from scratch as opposed to purchasing one is immense. By starting from scratch I was able to learn and develop each aspect to the practice : leases, hiring employees, firing employees, billing, records management, credentialing, patient insurance, personal insurance, prior authorizations, scheduling, HIPAA, OSHA, payroll, etc. etc. Once I felt as though I understood and mastered an aspect of the business, I would subsequently delegate to an employee or determine the value of outsourcing certain aspects to another company. The most significant task to perform for every physician and business owner is hiring and retaining the right staff. I routinely say that you could be the greatest physician of all time but if you do not have the right staff then it simply doesn’t matter. There are so many layers to patient care that staff matters. This is a great question because I routinely find myself at the end of a week thinking that I really need to limit my patient load at times to ensure that quality care is given. It’s a challenge as a Dermatologist simply because the demand is so high and I find it very difficult to turn patients away. The reality is that there needs to be time set aside each week or month to address the day to day workings of the business in addition to reviewing patient care overall. I have found for me it works best to set aside administrative time weekly to mentally know when I can shift my focus and avoid it impacting my patient care hours. Medical school does not prepare physicians for the challenges of becoming a business owner. This is a problem. As I mentioned earlier, it is best to master a task yourself before delegating it. If medical schools prepared students for being a business owner, then they would have to ability to really understand and evaluate employment opportunities in addition to considering the option of running a private practice. By not providing this education, most of my colleagues find that their employers have taken advantage of them at one point or another. The reality is that there is no significant income to any practice unless it bills for physician services. The value is in the provider. There are many hurdles in being a business owner. Staffing challenges, uncertainty with insurance reimbursements year to year, the changing landscape of reimbursements shifting from 3rd party payors back to the patients themselves due to high deductible plans, actually being able to provide care for patients with dwindling coverage, more administrative hurdles instituted by insurance companies and regulating bodies, etc — are just the highlights when it comes to hurdles. My resilience from each of these comes from understanding the fact that whether I owned my business or not — the same hurdles exist. The only difference is that I have job security whereas many of my employed colleagues are always worried about what will happen next for them. For me, the biggest hurdle for years had been finding other providers. Managing staff is a clear process where as the employer there are policies and guidelines that are clear to follow. To hire a physician to join the practice leads to an interesting challenge that I did not anticipate. Given the fact that I prefer to permit physicians that I hire to maintain autonomy, the question as to whether to intervene or not when possible ethical concerns could be occurring came up several years ago. To challenge another provider is simply not an easy process when ‘grey’ areas exist. I decided, however, that it is best to address these directly, professionally and respectfully to ensure that patient care is not compromised. Get out there and meet people. As a specialist, I made it a point every week to stop by the offices of primary care doctors to introduce myself, give a little talk on common dermatologic concerns, and make myself available. I gave talks at community centers, senior citizen homes, health fairs, etc to make myself a part of the community. I live and work in my community and it was important to me to make myself available for my community. Get to know your patients. Ask them how they are doing and listen to the response. It seems like such a small thing but it really matters. I did not advertise or pay for costly displays to build my practice. It was word of mouth. Every patient I saw led to their family and friends and neighborhoods following. Be available. Set aside time every day for same day visits. When a patient really needs a doctor, they just need a doctor and do not have the time to evaluate everyone out there. If you have time set aside at all time for same day visits, it will always be appreciated. Communicate the availability of same day visits to local doctors, urgent cares and emergency rooms so they know where to send people. Be approachable. Make your patients and their families feel comfortable to share and discuss their concerns. In medical school we were all encouraged to ask “close ended” questions to limit elaboration from patients. I understand the role for this. The problem is that if you do this exclusively you will have patients that do not think you really understand their concerns. Let your patients talk! Build a staff that cares. I tell my staff that they are patient advocates. If a patient calls with a concern do not address it with me in mind- address it from the patient point of view. When a patient call or comes in they are somewhat vulnerable given their health concerns. If they sense from the staff that the staff genuinely cares, it makes all the difference in the world. While I was completing my Masters in Bioethics at the University of Pennsylvania I wrote a paper on the history of physician compensation. This has always been a source of uneasiness. When my first month in practice was complete and a batch of direct patient bills was generated based on unmet deductibles I felt so uncomfortable sending these out. I actually held onto them for 2 weeks. Then something funny happened. A patient called my office and said that they had been seen and really appreciated the care they were given. She said she knew she had a bill to pay but had not received one from us yet. It hit me pretty quickly — monetization is well established in medicine now. Patients expect bills and plan to pay them. If I were employed, my employer would not struggle for a second with this concept. Since this is my practice, I am able to address monetization in a manner that avoids placing a burden on my patients. In running my own business without an employer telling me to take vacation weeks or sick days, I find have to remind myself to take time off. If I do start to feel unfocused or overwhelmed this is the time to take a step back and either take a break or re-evaluate to decide how to address the latest hurdle. I was very fortunate during my training to have a number of mentors. The one that has always stood out to me is Naomi Lawrence. She is a Mohs Surgeon where I trained. Her ability to run her practice, provide quality patient care, constantly utilize and develop tools to assess and re-assess the day to day aspects to her practice, continue to grow as a physician and still take the time to teach residents, medical students and spend time with her family taught me that you really can do it all and do it all better than anyone else out there. The most valuable lesson I learned from her was how to approach the practice in a systematic way to ensure that the best care is provided while instilling a sense of ease, confidence and comfort. The former comes from training and staying current with our expertise. The latter (the ease, confidence and comfort) comes from creating internal resources within the practice to be ready to facilitate patient care. Forms, instructions, templates, protocols, etc. — these are a must. Initially I would give talks to practices and community centers on common dermatologic concerns. By giving these in person, I was able to meet the audience and get to know my community. I realized that many were not familiar with the full scope of dermatologic services. I followed these talks with a monthly newsletter we would mail or fax to primary care practices and community centers to discuss different topics that would be of interest from a skin perspective. I joined the medical staff at two local hospitals and gave Grand Rounds on topics of concern to the medical community as well. I was told once to never, under any circumstance, give out my cell phone number to a patient. This was horrible advice. I am not recommending to hand it out to everyone. However, I had a patient with a melanoma that I desperately needed to reach. I kept getting her voicemail and could not get through. I kept missing her because when she would call the office I would be in a procedure or with a patient. I finally said to myself, I am just going to tell her my cell phone number so she can call me directly and not have to go through all of these hoops! I realized over the years that there has not been a single person that I have given my number to that has used it inappropriately. On the contrary, giving the number out demonstrated a sense of sincerity and further built the relationship with my patients. “The Tipping Point” by Malcolm Gladwell. In approaching my practice with a systems based approach where I not only consider individual patient care but am also very aware of trends and patterns that develop, I have been intrigued with a simple aspect of what I do. I see over 150 patients a week mostly for skin cancer evaluations. I see a population of people that is genuinely concerned about the potential for skin cancer and aware enough to set aside time year to year for the evaluation. When I examine patients I routinely ask if efforts have been made to wear sunblock. For years, the same patients have stated an enthusiastic ‘yes’ or, at least, ‘most of the time’. However, year to year we still see high rates of skin cancer and precancerous lesions. The question became are our patients really wearing sunblock as they say they are. I decided to dig further and have patients specify if sunblock is worn every day of the year. Almost all of my patients stated ‘no’. Most believed sunblock was only needed at the beach and never considered the impact of day to day sun exposure. I further evaluated the barriers to effective sun screen use. This is where the concept of my sun protective clothing line, AmberNoon, was born. The goal is to see if a behavioral change or shift by patients starting to understand that their clothing may not always provide adequate sun protection will lead to an actual decrease in the incidence of skin cancer and premature aging of the skin. A special thanks to Dr. Ilyas again! The purpose of this interview series is to highlight the entrepreneurs, innovators, advocates, and providers inside Healthcare. Our hope is to inspire future healthcare providers on the incredible careers that are possible!